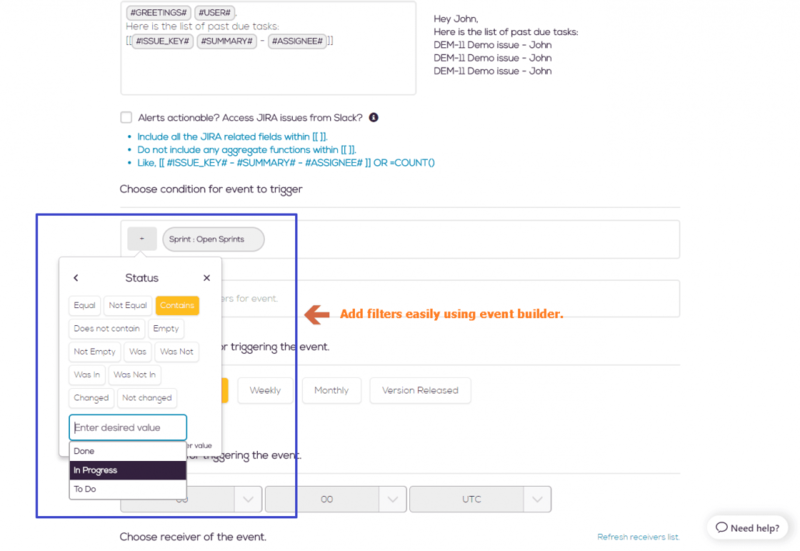 Now if you want some alerts based on JIRA data then this is event which helps you on that. 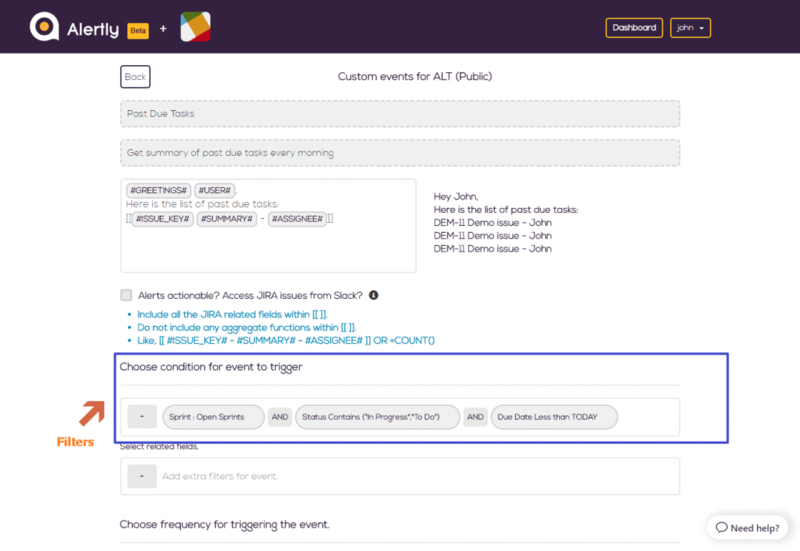 These events also provide summarised report of the team as well as an individual summary to users. https://alertly.io/wp-content/uploads/2017/11/alertly-purple-beta-logo.png 0 0 Alertly https://alertly.io/wp-content/uploads/2017/11/alertly-purple-beta-logo.png Alertly2017-10-17 05:30:082017-10-17 05:30:08What are Custom events? Can I post these alerts in particular channels OR in private groups? 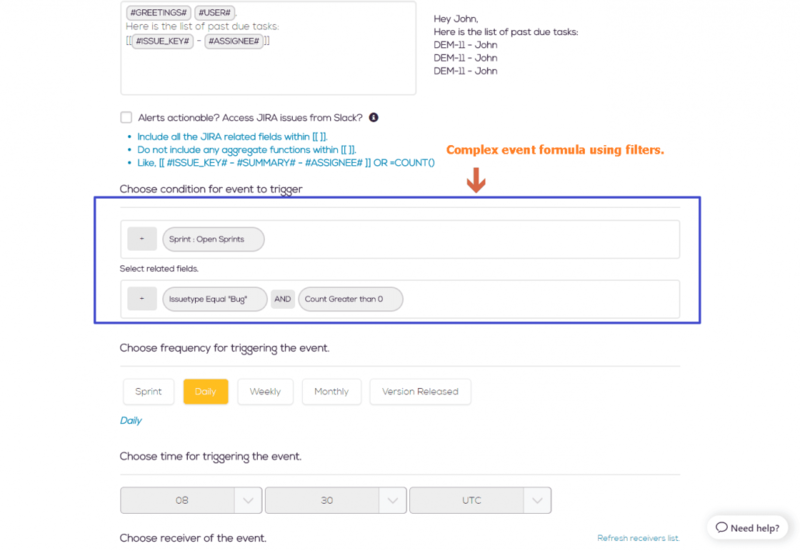 What are Follow-up events?